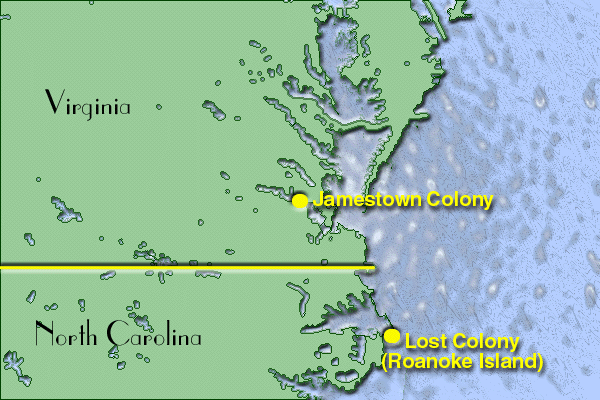 English settlers came to Roanoke to find gold and silver. Settlers arrived in 1587. The English arrived in present day North Carolina. All of the colonists struggled to farm the land due to its sandy soil. Many returned to England. John White, the leader of the colony sailed back to England for supplies. When he returned three years later all of the colonists had disappeared. It is unclear whether they died, escaped, moved locations or lived with the Native Americans.